NY-ESO-1: Review of an Immunogenic Tumor Antigen. Order, Disorder, Death: Lessons from a Superorganism. Control of Differentiation in Progression of Epithelial Tumors. 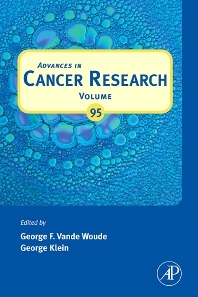 Cancer Vaccines: Preclinical Studies and Novel Strategies. Clinical Results of Vaccine Therapy for Cancer: Learning from History for Improving the Future. Immunodominance and Immunodomination: Critical Factors in Developing Effective CD8+ T-Cell Based Cancer Vaccines. NK Cell Receptors as Tools in Cancer Immunotherapy. Innate Immune Recognition and Suppression of Tumors. Inhibitors of the HSP90 Molecular Chaperone: Current Status.